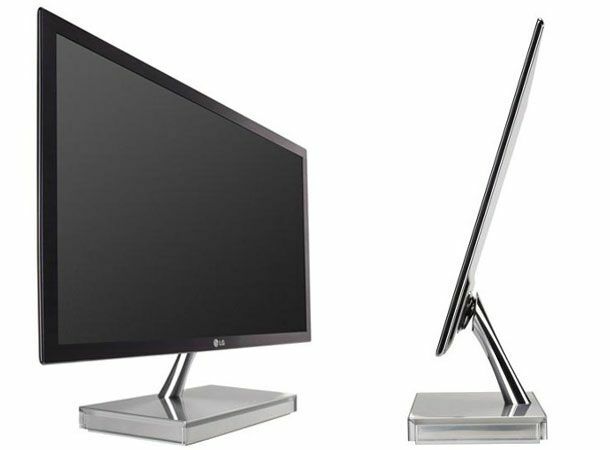 LG has unveiled what will be its slimmest LED display to date measuring in at a meager 7.3mm thanks to an internal component filled base. The 21.5-inch LG E2290V display with 1920 x 1080p full HD video playback features a super fast 2 milliseconds response rate, staggering 10,000,000:1 contrast ratio and the company's Super LED technology that reduces the display's power consumption by up to 40 per cent over other CCFL-backlit models. Designed with gamers and video users in mind to make full use of the high-end refresh rates, the LG E2290V stores all of its workings in the hefty silver base with the units power supply and connection socket located in the rear of the stand. Announced for launch in Asia this month for $435 (£277), the super slim line LG E2290V is expected to hit European and US markets early in the New Year. What home technology would you like to see given the Atkins treatment? Let us know via the T3 Twitter and Facebook feeds.